VideoChief Green Screen Edition Review + Bonus - New and Improved? This is my honest review of Video Chief: Green Screen Edition by Joshua Zamora. This is the third version of his membership site — the first, version 1.0, introduced over 600 marketing, voiceover and video script templates, and version 2.0 added 200 additional done-for-you videos in more than 10 niches. Now he’s back with the third version of his product. It’s important to mention that unlike a lot of other people out there that have reviewed Video Chief, I’m not doing so with the sole intent of funneling traffic to some other offer I’m an affiliate for that I claim is “better”. I am an affiliate for just about all of the products I review, I don’t have an ulterior motive, and most of the time gone through the whole course in detail before writing about it. This is a 100% honest review, something that’s not easy to come by these days. Bonuses: I’m offering a package of six outstanding bonuses that I think complement VideoChief: Green Screen Edition very well overall. You’ll get these bonuses absolutely free if you decide to grab the product through my link on this page. Be sure to scroll down to the bottom of the review to get a description of each of them! Summary: Video Chief: Green Screen Edition is an awesome product with an absolute ton of high-quality video content that can be sold to clients for big bucks. In addition to the 150+ green screen videos you’re getting in over a dozen niches, you’re also getting over 1000 additional video marketing templates from versions 1 and 2, as well as over 100 HD video backgrounds that can be used for the green screen videos. With that said, I wish Joshua and his team would have provided some training on how to actually get clients in the main members area instead of relegating that to the “bonus” section, because I imagine some people wouldn’t know where to find this information. What is Video Chief: Green Screen Edition about? Video Chief is one of the largest libraries of video marketing resources available today. The Green Screen version of builds upon version 1 and 2 of the product, bringing you 150+ professional green screen videos in over a dozen niches, and over 100 HD video backgrounds for them. This was apparently the most requested add-on from customers of Video Chief. 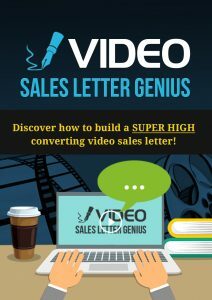 Over 500 Done-For-You Videos: Instant access to over 350 done-for-you video templates spread across more than a dozen of the hottest niches that you can download in one click and sell for $500-$1000 or more. Alternatively, you could rank them and generate fresh leads or affiliate commissions in these niches. 150 of these videos are green screen ready and able to be customized however you’d like. Over 150 Script Templates: Instant access to all of the scripts that the Video Chief team uses for their videos. These can be used to create your own videos without spending the time and money to hire a video script copywriter. Over 150 Voice Over Templates: If you want to customize the visuals but use the Video Chief team’s professional voiceovers, these templates are for you. The voiceovers can be downloaded in just one click. Over 50 Course Training Templates: Done-for-you courses that you can sell, give away to build your list or give away as a bonus. These are great for people who want to get into the realm of digital products but don’t have content. HD Video Ready: Every single video and audio track can be exported in full HD 1080p quality. Joshua and his team are committed to quality; all the tracks were created with the best cameras and microphones on the market in a professional studio. Full Editable Options: All of the templates can be customized as much as you want into something amazing, or used as-is. Joshua also has some great extra bonus content on finding clients to sell videos to and closing deals, as well as an interview with a guy who makes over $500K a month in his marketing agency. What is the structure of Video Chief: Green Screen Edition? Front End ($47-$67) – the main Video Chief membership. With this you get full access to all video templates, which you can download immediately. Version 1 started with around 600 templates, version 2 added about 200 more Hollywood-style templates, and in the latest version 150 green screen videos have been added. Examples of niches found inside include Business Services, Cars & Motorcycles, Fashion & Beauty, Health & Wellness and Legal & Law. 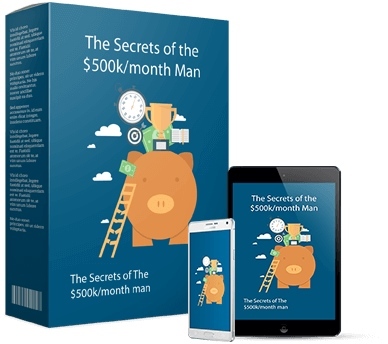 OTO 1 ($67 or $47×2 and recurring price) – with this you’ll be able to immediately unlock an additional 400 templates, plus be able to get 100-200 templates every single month at a low, recurring price. If you want to use a lot of the templates and build up a serious business from this, I would recommend picking up this upsell. Many hundreds of customers grabbed this during the version 2.0 launch. OTO 2 ($67) – with this you’ll be able to get an Agency license to Video Chief’s X Ranker 360 software. This software will help you rank your videos as quickly as possible, which you can profit from or build a business from offering video SEO services.This will allow them to be able to start ranking their videos as quickly as possible or charge their clients for Video SEO services. This is an incredible interview with from a guy who makes over $500,000 per month through his marketing agency! 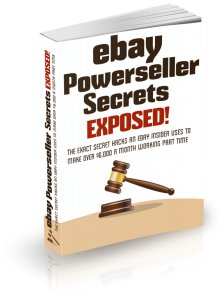 You’ll get a full insider’s view into the entire process he follows, as well as some amazing mindset training and sales training that you’ll be able to use to generate some big paychecks. This training alone will allow you to close more deals and collect more checks. Here you’ll be getting the exact contracts Joshua and his team use to easily get clients signed up and paying anywhere from $500-$3000 a month. Also, you’ll get the exact contracts they use for one-time services like selling a video to a client. Prior to going full-time online, Joshua used to run the SEO department for 2 web design companies in Miami prior to going full-time online. One of his roles was sales, and in this bonus, he’ll be sharing with you him and his team’s 3 most profitable ways to attract clients that were ready to pay them. This is just the beginning of what’s covered in this training. this is arguably one of the easiest ways to make a nice side income which you can invest into other ventures, and if you want to go all the way you can even turn this into a six figure business and beyond! I would normally charge for these value-packed bonuses, but you’ll be able to get all of them absolutely free if you grab Video Chief: GS Edition through my link. I know a lot of people will get it just for the bonuses, even though Video Chief: GS Edition is an excellent product on its own. Is Video Chief: Green Screen Edition a scam? Not even close. This product has been released in multiple iterations, done $120K in sales with $8K/month recurring, and thousands of happy customers have seen positive results from it. Video marketing has huge potential these days and it’s becoming more of a necessity than ever before — this product gives you access to professional-grade marketing videos that you can use right away for promotions or to sell to people who need them. If you’re interested in integrating top-quality marketing videos in your campaigns, or are interested in the business model of selling these kinds of videos to clients for prime dollar, I definitely recommend picking this up right now. If nothing else, you should buy the front end product and get the huge amount of video templates ready to be exported in 1080p. In terms of negatives, you should know that since the script is fixed on these templates, the flexibility in terms of what you can do with them is limited, meaning that it can be difficult to tailor them to very specific applications. Also, I think the bonuses section where Joshua and his team cover obtaining and selling to clients should be more obvious in the members area. I hope you found my review of Video Chief: Green Screen Edition informative and helpful. See my summary and rating of the product below. If you have any questions, feedback or comments, feel free to leave them in the comment section! Prev Picture Perfect Profits Review – All It’s Cracked Up To Be?